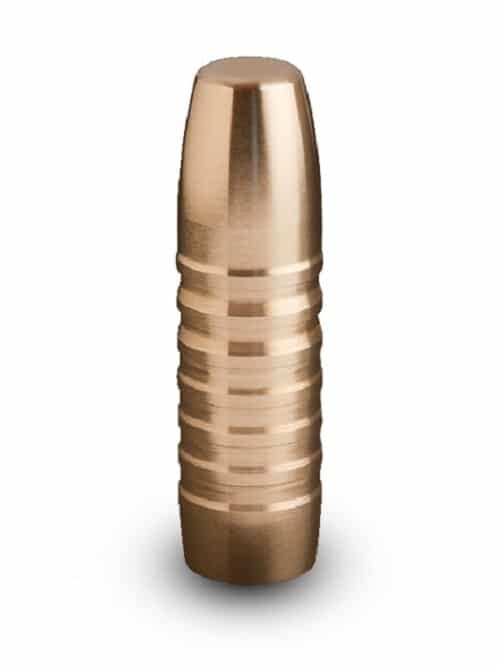 Peregrine’s Solid Brass Bullet is a meplat bullet design manufactured from brass. The best backup bullet for the purpose of dangerous game hunting over 2700fps. Due to the solid construction of this bullet there will be no bending or fragmenting. This bullet provides on-course penetration through the toughest hide and bone. Ideal for: This bullet is ideal for back-up applications when hunting dangerous game.